President Donald Trump’s Department of Justice has no plans to charge former IRS official Lois Lerner over her role in the Tea Party targeting scandal, the Attorney General’s office said late Friday in response to calls by Republican lawmakers to conduct a full criminal investigation of Lerner’s suspicious activities at the powerful Internal Revenue Service. In April, House Ways and Means Committee Chairman Kevin Brady, R-Texas, and Rep. Peter Roskam, R-Illinois, had asked Attorney General Jeff Sessions to take a “fresh look” at the case. Lerner allegedly provided investigators with misleading information when she was interviewed by the Treasury Department’s Inspector General for Tax Administration (TIGTA). What GOP lawmakers found disturbing was Lerner disclosing confidential taxpayer information by using her personal email account rather than her office email address. “Lerner should face up to 10 years in prison if convicted of that charge alone,” noted political strategist and attorney Mike Baker. “But I fear she will never see the inside of a courtroom. Does President Trump believe this is draining the swamp?” Baker quipped. According to Judicial Watch, before her becoming the IRS’s Director of Exempt Organizations, Lois Lerner worked at the FEC where she developed a reputation for wielding her power against a conservative candidate and Christian-based political groups. In the same email, the FEC attorney asked Lerner if she could also advise him if the IRS had granted an exemption letter to American Issues Project (AIP) as well as to AIP’s predecessor organizations, Citizens for the Republic (CFTR) and Avenger, Inc. In her response email sent to the FEC, Lerner stated that she would make it mandatory for her underlings to cooperate fully, something that smacks of an anti-conservative conspiracy, according to political strategist Mike Baker. 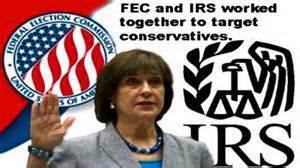 The majority of documents obtained by Judicial Watch analysts consists of extensive materials from IRS files sent from Lerner to the FEC containing detailed, confidential information about conservative groups or vilified Tea Party organizations. The items include annual tax returns and request for exempt recognition forms, Articles of Organization and other corporate documents, as well as correspondence between the conservative organizations and the IRS. Section 6103 of the Internal Revenue Code stipulates that it’s a felony for an Internal Revenue Service official to disclose either “return information” or “taxpayer return information” to any individuals or organizations including government agencies. Initial news reports, such as a story in the Washington Post, when word of some of these IRS-FEC emails first surfaced, raised a variety of legal issues. 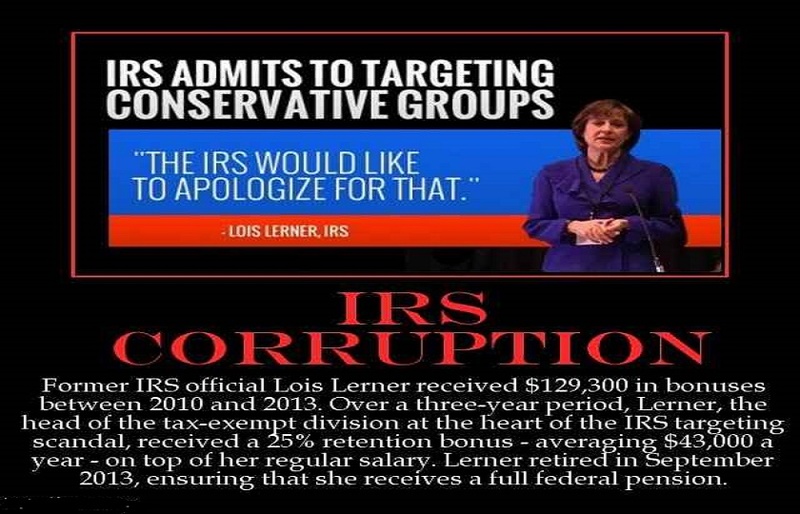 One legal issue was the fact that Lerner was supplying confidential information concerning the tax exempt application status of conservative organizations to an agency that had no right to receive such information. Another was the fact that the inquiries regarding AFF made by the FEC attorneys in February 2009 to Lerner occurred before the FEC commissioners had voted on whether to investigate AFF (the FEC later voted not to investigate AFF). A third legal issue was the appearance of political collusion between government agencies with a seemingly anti-conservative bias. 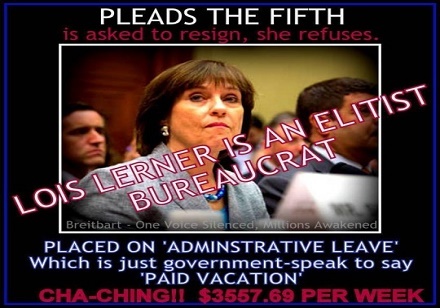 Lerner resigned her position at the IRS in early October. In May, she invoked her Fifth Amendment right against self-incrimination in her, some say, arrogant appearance before Chairman Darrell Issa’s House Committee on Oversight and Government Reform, according to Caroline May, political reporter for the Daily Caller. “These latest IRS-FEC emails obtained by Judicial Watch seem to confirm that there was probable collusion between the IRS and the FEC that might have been far more extensive than was first indicated, particularly in view of allegations that, prior to joining the IRS, Lerner’s tenure as head of the Enforcement Office at the Federal Election Commission (FEC) also was marked by what appeared to be politically motivated harassment of conservative groups,” state Judicial Watch officials. “And there is the very real question as to whether these documents evidence a crime,” Fitton added. WHY is Trump allowing this ? He is head of the DOJ and as such has the power to force them to do this ! Our nation has no law as long as there are people who are not held accountable. Care to take any bets as to if Killary ever goes to jail? I really hope we have not been betrayed once again. Could it be that if they prosecuted Lerner we would find out that she was following orders from Obama??? Is that the REAL reason they refuse to investigate and prosecute Lerner?? You have made an excellent point. I’ve worked in Washington and those are the sneakiest people in America. Makes sense to me. They are definitely not going after him.